The bloc may expect a “political earthquake” after the 2019 European Parliament election, Italy’s Deputy Prime Minister Luigi Di Maio warned. Di Maio said he believes that what happened in Italy after the general election in March 4, when the popular vote brought an unlikely coalition of two anti-establishment parties to power, will happen in the whole Europe. The pro-EU centrist parties shrank significantly as a result of the latest Italian parliamentary elections. With the plebiscite that is scheduled for May next year “there will be a political earthquake at the European level,” Di Maio, who is also the Minister of Economic Development and the head of the Five Star Movement (M5S), stated. “All the rules will change,” the Italian high-ranking politician promised. The Italian government and the EU authorities are at loggerheads over Rome’s targeted budget deficit at 2.4 percent of the GDP that exceeds the limits set by the EU. Rome believes that the forthcoming elections would favor the opponents of austerity. “The Europe of bankers, founded on mass immigration and economic insecurity, keeps on threatening and insulting Italians and their government? Relax, in six months 500 million voters will fire them. We keep going,” Italian Interior Minister Matteo Salvini said. Europe is scheduled to elect a new parliament in May 2019. Just as in 2014, the European political parties that will be present in the parliament will also field their candidate for the post of the European Commission head, who will be later elected by a qualified majority of the European Council as well as a simple majority in the new parliament. 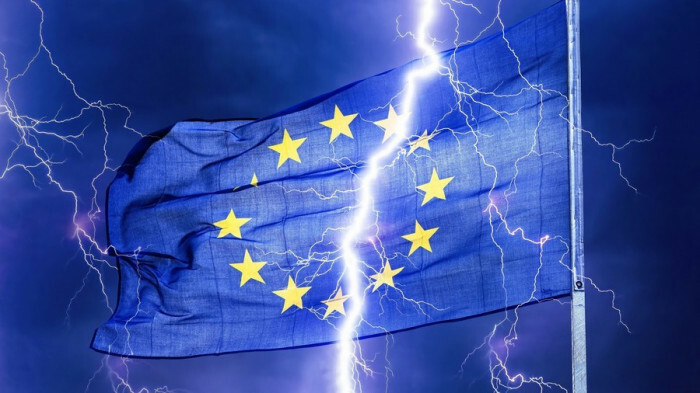 The upcoming vote is expected to be a barometer for the European political arena as various anti-establishment and Eurosceptic forces are gaining popularity throughout the bloc. Apart from Poland and Hungary, where the ruling elites have been locking horns with Brussels over the migration and some internal policy issues for quite some time, Italy also elected an anti-establishment coalition, consisting of the populist M5S movement and right-wing Lega Nord, this year. In Austria, a controversial right-wing Freedom Party has made it into the government for the first time in more than ten years as a result of the latest parliamentary elections. In Germany, the government led by the staunch pro-EU political veteran, Angela Merkel, still struggles to overcome internal differences and win back voters lost in the wake of the migrant crisis while the populist anti-immigrant Alternative for Germany (AfD) party continues to gain popularity and even competes for the status of the second most popular party with another traditional establishment party – the Social Democrats that have their support fallen to the historic lows. Such developments might indeed lead to a situation, in which the next European Parliament will see a surge of Eurosceptics, populists and anti-establishment forces within its ranks.